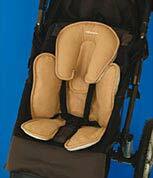 Infant car seats are developed for safety first and style second. If you’re looking to spice up your child’s car seat with stylish baby car seat covers, you’ve come to the right place. There is a nearly unlimited number of choices to accommodate your style. Infant car seats are developed for safety first and style second. If you’re looking to spice up your child’s car seat with a baby car seat cover, you’ve come to the right place. There is a nearly unlimited number of choices to accommodate your style. This list is not by any means complete. The selection of covers already on the market is astounding. However, if you can’t find just the right one, consider having a custom cover made. 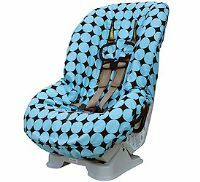 There are many services available on the Internet that can have a baby car seat cover made up for you in a flash. You can customize not only the fabric but also the fit to your exact car seat. 1. Make sure the straps are not restricted in any way. 2. Cover should fit snugly over seat and not slip off. 3. Does not interfere with any of the locking mechanism for attaching the seat to the base. If you’re looking for a seat cover to keep your baby warm in the winter, these can be a great addition. After all, your baby is much safer in a cuddly cover than being loaded up in a warm coat that often doesn’t fit well into the car seat. 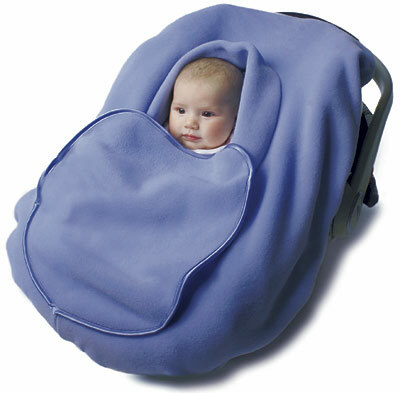 There are a number of styles of weather related baby care seat covers. You can consider the furry wool covers that go on top of the original cover. These add warmth but do not cover the baby. For infants, there is also the type that fits over the entire top of the infant car seat carrier and provides a large hole and zipper access for baby to peek out. Finally, a boot style that slips over primarily the bottom portion of a car seat is available.